Mason Metzger, Silver Lake, Ind. Mason Metzger of Silver Lake, Ind., says that at first glance some people might underestimate him. But once the 17-year-old shares his story, he hopes others are inspired by his humor, positive attitude and accomplishments. And don’t forget determination—Mason’s journey hasn’t been easy. When he was born two months prematurely, on January 29, 1999, he wasn’t breathing. Doctors told his parents Micah and Carissa Metzger that their baby’s placenta likely separated from the uterine wall before birth, inducing early labor and cutting off oxygen to his brain. 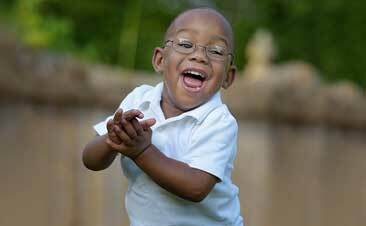 Mason started receiving therapy at 3 months of age and was diagnosed with spastic cerebral palsy at 1. Thus began a long relationship with the Cerebral Palsy Program at Riley Hospital for Children at Indiana University Health and Riley Developmental-Behavioral Pediatrician Carolyn Lytle, M.D. Mason also received other services at Riley. For example, in 2004 Riley Orthopedic Surgeon Joseph Bellflower, M.D., lengthened the tendons in his legs to relieve his stiff muscles and improve movement. Mason uses a motorized wheelchair. 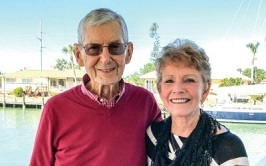 The surgery, combined with years of occupational and physical therapy, has allowed him to push his physical limits by riding his hand-powered bicycle, swimming, water-skiing and completing triathlons with myTEAM TRIUMPH. Dr. Lytle, he says, piqued his interest in exercise and maintaining good physical health. 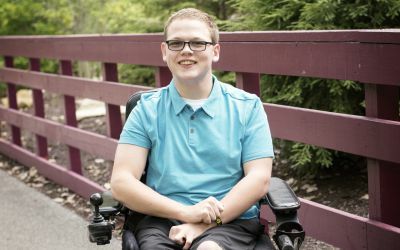 Mason has dreamed of becoming a motivational speaker since eighth grade, and he’s recently made it happen. Since 2014 he has spoken to nearly 30 groups about perseverance, hope and purpose. He has inspired the students and staff of his own school district, nearby Grace College and Franklin College. The Indiana Council for Exceptional Children named Mason the 2015 winner of its “Yes I Can” award.